On this page the Academy pays homage to those members who have passed away this year. Academy Awards and nominations are noted (a win is indicated by an asterisk) as well as service on the Academy's Board of Governors. The list goes on to name everyone on the 2015 In Memoriam, and no, your two favorite hilarious broads are not included. There's not exactly a full roster of Academy members available for us to peruse, but it would seem that Rivers is not in club and therefore didn't get her moment in the tribute. (It should be noted that the directors of her documentary, Joan Rivers: A Piece of Work , were invited thought.) 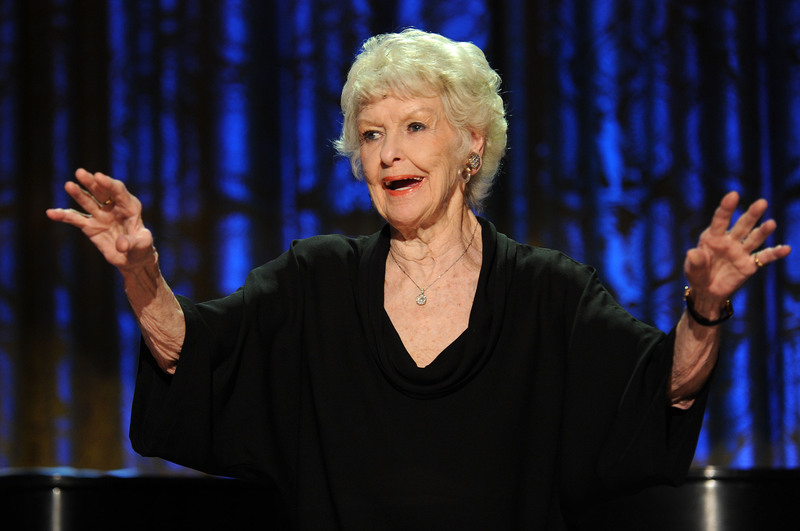 While I'm sure Rivers (and Stritch for that matter) wouldn't give a rat's behind about being invited to the Academy, it does seem like the Oscars' In Memoriam rules need to take a chill pill, get off their high horse, and generally cut the snobbery. The Oscars are about arts and entertainment, so they probably shouldn't leave out some of the most entertaining women we've ever encountered.